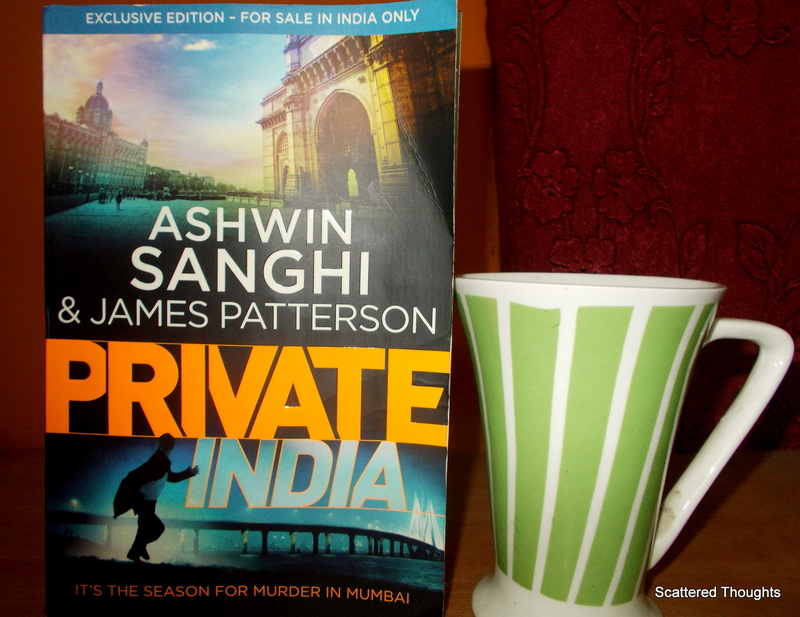 Ashwin Sanghi , rightly known as the Dan Brown of India, has teamed up this time with internationally acclaimed author James Patterson , introducing Patterson’s Private series to India. Private India is the most hi-tech and reputed Indian private detective agency headed by the inimitable Santosh Wagh and it runs as a branch of ” Private Worldwide ” detective organization, the one and only of its kind. Santosh is a tormented soul as an event from his past life keeps repeatedly coming back to him in the form of a nightmare. So, while not acting as the Private head, he succumbs to the inviting appeal of Johnnie Walker. Santosh and his team, find themselves entangled in a series of murders where no clue is left by the serial killer who is on a spree to kill reputed and famous women apparently having no connection between themselves. The first victim, a doctor from Thailand,Kanya Jaiyen, is found dead in the bathroom of the hotel Marina Bay Plaza. Initially being appointed by the Hotel authority, Private India arrives at the scene, but later the police also happily let them to carry on with the investigation provided that they will share every detail of the development with ACP Rupesh Desai. The first murder is followed by that of journalist Bhavna Choksi, then pop-singer Priyanka Talati and school headmistress Elina Xavier and some others. While Mubeen, Private India’s full-time medical examiner and forensic expert, discovers some astounding facts about the murderer from some DNA samples, Hari, the tech-geek of Private, brings himself under suspicion for his dubious activities. The presence of a yellow garrote used to strangle all the victims makes the murders all the more mysterious as to whether it’s done as part of some ritual of an ancient cult. Besides being a classical Whodunit thriller, most of the characters in it are dual-faced. The different shades of the characters are revealed along with the turn of events. This has successfully evoked the desired effect for a point comes when the reader begins to suspect almost everyone as the possible murderer. And the question that seems more haunting is Why the killer is doing this ? what’s the motive ? The story spreads over alleys of Mumbai, from the Colaba causeway to Dharavi , it portrays a picture of Mumbai less known to people. Apart from the main murder plot, there are several sub-plots which includes a threat of bomb blast from the ISI indulged Mujahidin group, the pseudo-religious gurus like Nimboo Baba and typical Mumbaiya don like Munna. All these sub-plots are woven more or less perfectly with the main plot, adding more thrill to it. What I like most is that the characters of the detectives are portrayed here not in a supermanisque manner.They are vulnerable human beings and are prone to make mistakes. I personally like the character of Nisha Gandhe, assistant to Santosh Wagh. As a typical Sanghi book, there are some mythological references too which I think have been put quite aptly this time. The appearance of Jack Morgan, the founder and ultimate boss of ” Private Worldwide” is quite praiseworthy though the way he acts while confronting Munna in a dance bar is rather filmy. There are no negative points whatsoever except for a couple of minor loose ends which I would refrain myself from mentioning. Though the ‘motive’ placed behind so many immaculate murders at the end has disappointed me a bit. ( Some say I nitpick a lot when it comes reviewing a murder mystery or a thriller ). An absolutely engrossing read and a page-turner. I enjoyed reading Private India and finished it at one go over four mugs of coffee. Those who like thrillers are sure to enjoy the book. Seems interesting. Thanks for the review. Added the book on my reading list. Looks interesting. I shall try to read it. Your review is tempting me to read it. Looks interesting. I shall try to read it. Interesting review and the book seems nice as well. i have read so many reviews that I am really confused :-). great intriguing review of a much awaited book… what more should I say ? Will READ IT 🙂 and mind you dear,over 6 cups of coffee 😀 lol …. When I read Krishna key, then only I decided – I am not going to read another book by him – shameless brand endorsement, paramount of unreal writing,too filmy crafted dialogues – and now two writers? When I saw the book a days back – I was absolutely ridiculed by the fact that two writers join hands to write a thriller, I guess he is now borrowing the normal thriller template from international writers and applying it to an Indian setting. Seriously – I can not read this book. Kichhu mone korle na to? Honestly bollum. You know I loved the beginning, the buildup and everything. But once *cough* spoiler *cough* blank* happens at the end, it seemed rushed. Like there was soo much of a buildup for nothing! Suddenly I’m read only reviews of this book, and the more I read, the more I’m tempted to buy. This does seem to be a very intriguing kind of book. Is it fast-paced? Yes..Ashwin..fast-paced really…neat plot ..you’ll enjoy the thrill..but as I’ve said..at the end the motive behind all the murders seems a tad bit weak… 🙂 an enjoyable read otherwise.. I have read most of the books by Aswin. I was thinking of giving this book a miss specially I am kind a bored of Private series. But still, interesting review and the plot seems to have some meat. Yep..many bloggers have reviewed the book..a good read this one..
Wow Mani a 4 on 5 makes the book a must read. The review is written really well (well as always) but the only thing I thought was is this book available only in India? anyway ill pick it up on my Dec visit then, but i will read it for sure. Haha Alok..anytime… 🙂 would be an honour for me…. but as you know..I’m not so good with technical stuffs… 😛 …what’s your book is actually about ? That’s really a great news Alok… a WOW ! news to be precise… 🙂 Congrats…. !! I am not an Ashwin Sanghi fan but the book sounds very promising.